This picture book is so fun! My littles and I had a lot of fun reading this one together. 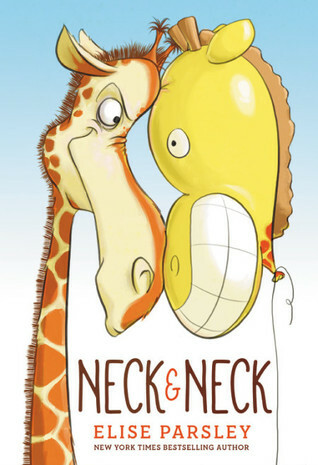 I love the way that this book has so much humor but also has some learning aspects to it as well. In this story, we have Leopold, a giraffe, who finds himself the only giraffe around and therefore the only recipient of treats. But when a boy with a giraffe balloon starts to tease Leopold, Leopold turns and starts to get the balloons away/ruined. This going back and forth happens until they both realize that it's better to be kind rather than trying to prove your point in a way. I loved having a conversation with my littles about how kindness is the way to go. That when we are kind instead of competitive, relationships are made better. The humor comes in a few ways. First, when Leopold finds himself in competition with a balloon. Then in the ways that the boy teases Leopold and how Leopold responds. We had fun laughing at Leopold stomping around and finding himself face-to-face with the balloon. The illustrations play these scenes out so well. I was a big fan of the writing, which was fun to read aloud and easy to make it sound fun for my littles. Elise Parsley studied drawing and creative writing at Minnesota State University Moorhead. During college, Elise also volunteered over 1800 hours promoting literacy through an AmeriCorps academic enrichment program. Now she promotes literacy through writing and illustrating children’s books. 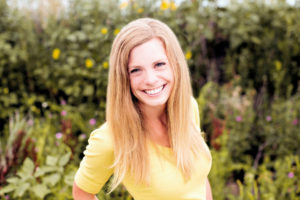 Elise is the Illustrator Coordinator for the Dakotas Region of the Society of Children’s Book Writers and Illustrators. She spends a lot of her time telling aspiring writers and illustrators to join the SCBWI and get involved with a local critique group or two. Elise and her family live in Beresford, SD.